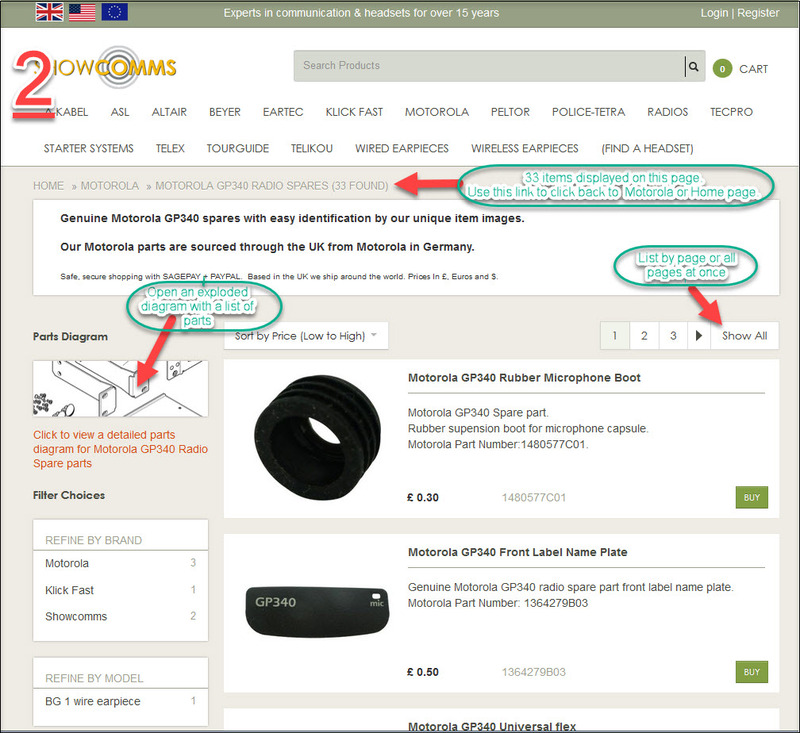 Sorry you have not been able to locate your product quickly using our website's search bar. Our search box works quite well for exact product codes but I have to admit it is frustrating when searchingfor a phrase such as "GP340 Loud Speaker". The website is layed out like a catalogue of parts that exist in my head. I think it is easier to find a product by drilling down in 3 stages. First, from a main heading, then to a catagory and then finally to a list of parts and accessories. Taking as an example "GP340 Loud Speaker". FIRST. Click your mouse on MOTOROLA. 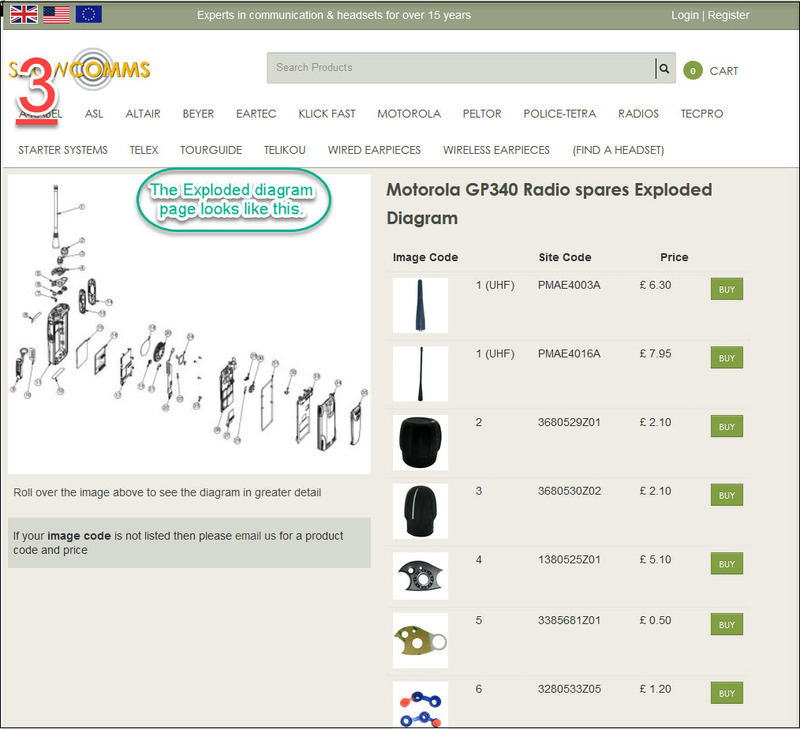 The next page will display all the associated parts or accessories for the Motorola GP340 radio. We wish would could list an exploded diagram on every spare part page. We list more exploded diagrams as they become available. If you are looking for our Sennheiser products they are listed on a separate website SENNHEISER PROSPARES website. The search on the Prospares website also functions in a similar manner. 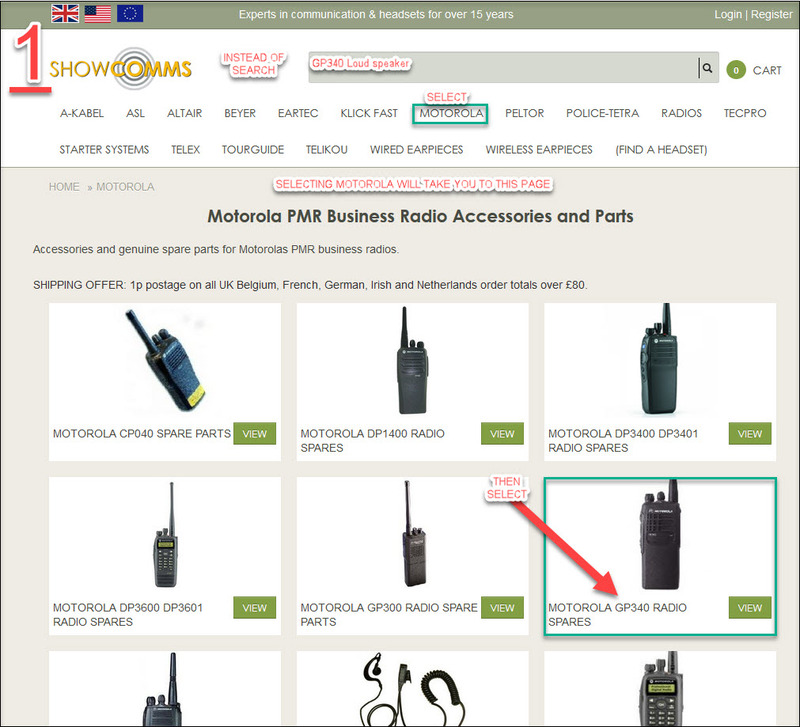 Motorola TETRA radio accessories and also Airbus and Sepura accessories are listed together under POLICE-TETRA. If you still cant find your product and think it is something we should include please email us at websales@showcomms.co.uk.